KEF joins Black Friday fun with speaker and headphone deals | What Hi-Fi? Black Friday is upon us and that means deals are cropping up all over the place, including, now, the KEF website. 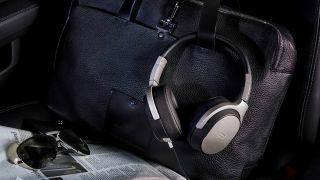 The British hi-fi manufacturer is best known for its speakers but also turns out some smart headphones, and a selection of the company's Porsche Design wireless products have had their prices slashed for the Black Friday weekend. Check out the deals below.